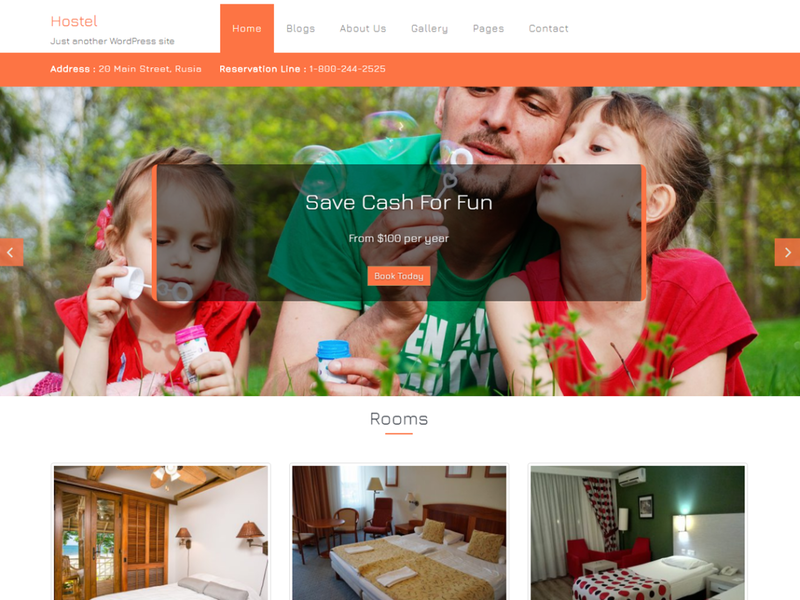 Hostel is a WordPress theme specialized in high quality hostel service. The purpose of Hostel is to be a clean looking environment to make clients focus on the dining experience. Hostel is a cool looking multipurpose WordPress theme well suited for many different websites including restaurants, cafeterias, bakeries, pizzeries and any other dining related site. It has a responsive layout that makes gorgeous graphics and offers cross-browser compatibility.